Surveillance of colorectal cancer is currently based on dosage of tumoral markers, colonoscopy and multidetector row computed tomography. However, pelvic magnetic resonance imaging (MRI) and PET–CT are two second-line useful imaging modalities to assess colorectal cancer local recurrence (LR). The anatomical information derived from MRI combined to the functional information provided by diffusion-weighted imaging currently remain of value. Pelvic MRI is accurate not only for detection of pelvic colorectal recurrence but also for the prediction of absence of tumoral invasion in pelvic structures, and it may thus provide a preoperative road map of the recurrence to allow for appropriate surgical planning. As always, correlation of imaging and clinical findings in the multidisciplinary forum is paramount. MRI can also be used to follow-up LR treated with radiofrequency ablation. 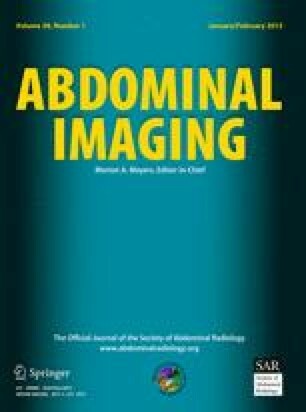 The aim of this review is to discuss clinical practice and application of MRI in the assessment or pelvic recurrence from colorectal cancer.